Makeup Expires. Sad but true. Nothing lasts forever as they say. Most of us accumulated piles and piles of makeup products that we 'seldom' or 'never' use but keeps just in case we eventually will. 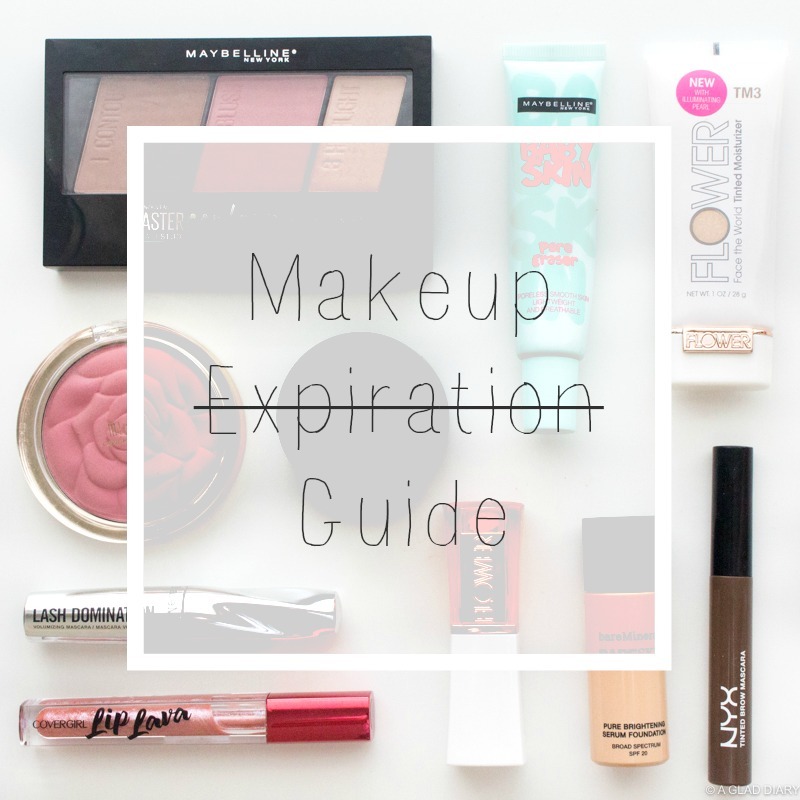 I for one don't apply makeup everyday but when I've learned about make expiration, I try to use makeup whenever I could and avoid impulse buying. But it's actually hard to do especially that good deals are everywhere these days. When you notice a change of texture, color and smell in the product and you get irritation and itchiness after application then it's time to throw it away. Powders (blush, bronzer, shadows and the likes) tend to be more dry and flaky when it gets expired. You need to pay special attention to mascara and liquid eye liners. These items are wet in nature to which bacteria loves. These bacteria causes redness, itchiness and irritations to the eyes. Sharpen pencil liners to keep it fresh. When a white film starts to develop on the tip of the pencil that can't be sharpened off, then it's time to toss it away. Clean your brushes after use by dusting/wiping it off with a clean dry tissue to prevent bacteria growth. Clean your makeup tools regularly too. I would recommend you to do this every 2-3 months. Wash your sponges weekly using antibacterial soap and hot water and throw it away monthly. If you're already in the habit of stacking loads of cosmetic items in your drawer, labeling them with the first date of use will be a good practice. This will give you an idea how long you've been using the item and when it's time to toss it away. It's hard to throw away makeup especially when it's still half full, but it's better to be safe than sorry. I hope these tips are helpful to you in anyway.